It’s easy to feel like renter’s insurance isn’t necessary. As a renter, insurance for your home may feel like something reserved for homeowners rather than for renters. According to Investopedia, “while 95% of homeowners have a homeowner’s insurance policy, only 37% of renters have renter’s insurance.” However, renter’s insurance provides an option for those who choose to rent instead of buy, and offers the opportunity to protect your assets at a fairly minimal expense. Below, we outline three reasons why every renter should invest in renter’s insurance. Possibly the biggest reason why every renter should have renter’s insurance is a simple analysis on what renter’s insurance costs and the benefits it provides. Renter’s insurance can often be acquired for as little as $187 each year, according to the national average provided by the National Association of Insurance Commissioners–that’s as low as $16 each month for coverage that usually insures belongings like clothing, electronics, and other personal property valued at up to tens of thousands of dollars. The cost of the policy will greatly depend on a number of factors, including location, the scope of coverage needed, and the size of the deductible. However, many insurance brokers that offer products for auto, life, or other types of insurance will have discounts available for those that have multiple policies. Check in with your insurance provider and ask about potential discounts, quotes, deductibles and policies for rental insurance. A common objection for refusing renter’s insurance may come down to the physical infrastructure that you’re insuring. 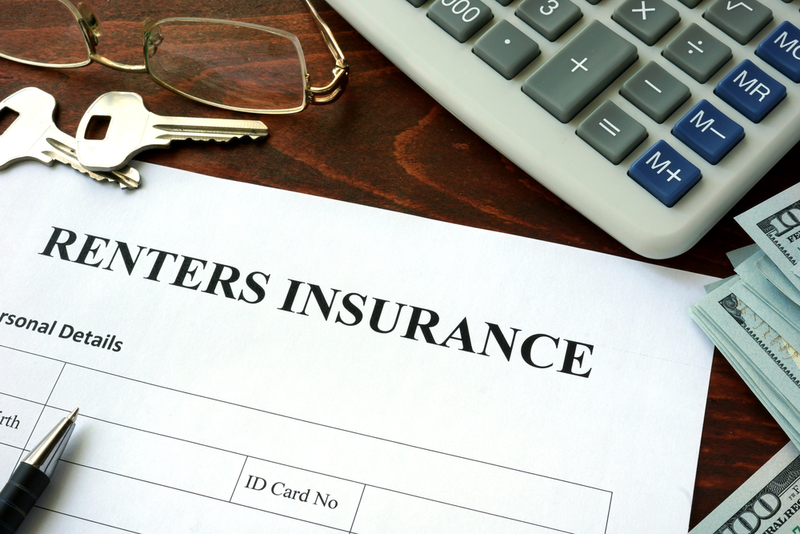 While homeowners understand the need to insure the very walls of their largest purchase, renters may think that type of insurance should be left up to the building owner. However, renter’s insurance is there to offer protection for a resident’s possessions instead of the home itself. In just looking at a resident’s clothes and electronics, the value of those possessions may reach into the tens of thousands of dollars! Renter’s insurance protects up to $20,000 worth of personal property for the average renter. Theft and disaster can rob a person of both their possessions and sense of security, and can happen at any time. Renter’s insurance ensures that your possessions have a second layer of protective coverage no matter where misfortune may occur. In an example laid out by Farmer’s Insurance, a thief may steal a laptop from your vehicle; while the broken window or vehicle damage might be covered by your auto insurance, your possessions most likely will not be covered. With renter’s insurance, your possessions are often covered against theft, filling in important gaps from other insurance policies. Renter’s insurance is a recommended purchase for any resident. It can help give renters the peace of mind knowing their life’s possessions are protected by a policy without a prohibitive cost. As part of our resident “We Care” services, we have partnered with select insurance providers. For more information on rental insurance, visit your management office or contact us today.